Tiffany Houseman joined ATR just 3 short months ago but that hasn’t stopped her from making a big splash and becoming our newest employee of the Month at the Grand Rapids MI facility. “Tiffany Houseman was hired as an Administrative Assistant but her sharp attention to detail and organizational skills have contributed significantly to our Logistics and Operations teams” said Maria Prindle the San Antonio Site Manager. “Tiffany’s pleasant demeanor makes her a perfect fit to interface with customers dropping items off to recycle and scheduling trucks but it’s her desire to take on new challenges that has earned her this recognition” adds Mrs. Prindle. Ms. Houseman was hired during ATR’s One Million Pound Challenge where a new Guinness World Record was set back in April and she hasn’t looked back since. Most recently Ms. Houseman has turned her attention toward Asset Recovery and has begun helping the team with product details, shipments and asset reporting. These are all very important tasks and Ms. Houseman has managed to fold them into her daily routines without compromising her existing duties. When asked what motivates her to exceed everyone’s expectations she simply replied, “I like that there is always something to learn. The people are friendly, and it truly is a family atmosphere at ATR. We agree!! 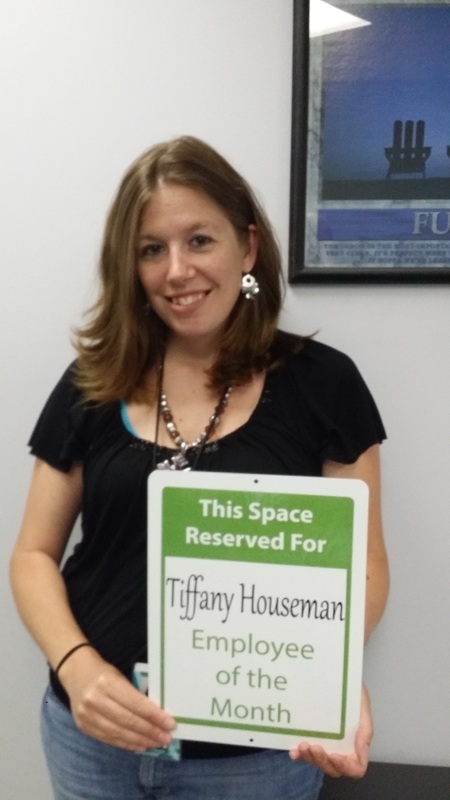 Great job Tiffany Houseman, you’re contributions help keep everything running smoothly and we welcome you to the ATR Family. So what’s next for Ms. Houseman…her goals at ATR are to learn as much as possible, do the best job she can and do her part to leave the planet in the best shape possible for future generations. A noteworthy goal from the mother of 3 who enjoys spending time at the rodeo with her children in-between taking care of the family dog, rabbit and of course their horse.